All-natural. Chemical-free. Toxin-free. Chances are, you’ve heard one or more of these phrases bouncing around the internet. They’re pretty popular. Although each one technically has a different meaning, their connotations are all the same: remove harmful things from our lives. But why strive to be toxin-free? It’s quick and easy to run to the grocery store, take a swing through the highly perfumed cleaning aisle and get some spray cleaner. We can pick up laundry detergent, air fresheners, dishwasher detergent as well as shampoo and conditioner there too. Why should we put much thought into it? Life is busy, folks! Everything up on those shelves is safe, right? Right? There are good reasons to read the labels of your cleaning and personal care products. Sorry, but I can’t confirm that. Sadly, the FDA can’t either. In 2015, the International Federation of Gynecology and Obstetrics issued a warning statement about chemical exposure and its effects on pregnant women and their children. This was not just concern about industrial pollutants, but also about the chemicals in our personal care products. Chemicals in products like shampoos, conditioner, cosmetics, certain plastics, even cash register receipts, can be endocrine disruptors. Our endocrine system includes the reproductive organs, yes, but also our thyroid, pancreas, and adrenal glands (among others). These produce hormones that affect every part of our life. They control our sleep, weight management, and mental health. The Endocrine Disruption Exchange lists numerous chemicals, some from industry, some from household and personal care products, that are connected to endocrine disruption. Their list includes links to the numerous studies supporting caution and concern (at least) regarding these chemicals. People tend to worry about big, visible things, like industry and power plants. The fact is, a power plant burning natural gas or coal is under far tighter regulations for safety and emissions than a company putting shampoo or cleaning spray on your shelves. The Environmental Working Group lists their dirty dozen endocrine disruptors on their site. The list includes familiar names like lead, arsenic, and mercury, which are found in the food chain or home environments. However, it also includes less-well-known chemicals such as phthalates, dioxin, BPA, and organophosphates. 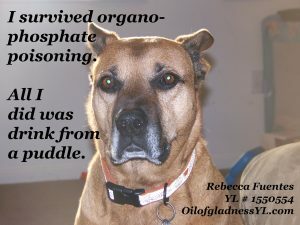 Organophosphates are common fertilizers, but they run off in water and are deadly to animals–we came very close to losing one of our dogs to organohosphate poisoning after he drank from a contaminated puddle after a rainstorm. Organophosphate run-off poisoned a puddle in our neighborhood. A simple drink while on a walk almost proved fatal. The dangers do not just extend to non-consumable products. In 2015, the FDA posted extra warnings about NSAIDs–nonsteriodal anti-inflammatory drugs. These drugs include the common OTC medications ibuprofen and naproxen under the brand names of Advil, Motrin, and Aleve. Their use increases risk of heart attacks and strokes. The increase in risk can show up within a few weeks of taking any of these regularly. Of course, those with a history of heart problems are most at risk, but anyone using these drugs will see their risk increase. Because these drugs are OTC, many regard them as safe. After all, we even have infant and child versions of Advil on the shelf! During the sixteen years I suffered from dysmenorrhea severe enough to affect my school and work, doctors offered high levels of ibuprofen as one of only two solutions. (The other solution was the birth control pill, which also raises heart attack and stroke risk.) With a family history of heart disease and strokes, I was trying to avoid medication that increased these risks. But I didn’t know the NSAIDs I took could be as risky as the synthetic hormones. There are some things in our environment we cannot completely control. We can filter our water, but we can’t control what is in the soil that grows our vegetables (even the organic ones). We can pick the best quality food off the grocery shelves or from the farmers’ market, but we don’t know everything that might be on or in it. Those are risks we have to take. However, we can choose to eliminate or reduce the risks we can control. It starts with a simple strategy of “Ditch and Switch”. Start with the simplest switch: ditch the scented candles, air fresheners, Febreeze, and plug-ins. Freshen your home by diffusing the best essential oils in the world–which have numerous health benefits as well as smelling wonderful. We use essential oils for furniture and linen sprays to freshen the couch or bed, in carpet freshener, and to purify the environment. With essential oils, you can even wear your “air freshener” on your skin or in a diffuser necklace. Next, replace your cleaning products. Cleaners infused with essential oils work just as well as the 409 off the store shelf, without the hazards of toxic ingredients. Notice the ratios for diluting this cleaner. A little goes a long way. I use it for countertops in the kitchen and bathroom, mopping the floors, cleaning the cabinets (it makes my wood cabinets glow), and even windows and mirrors. In the laundry room, oil-infused laundry soap makes sure that damaging perfumes and surfactants are not left on your clothes and towels (and then on your skin). This even leaves our guinea pigs’ fleece bedding clean, fresh, and odorless! In the kitchen, swap out both the dishwasher detergent and the dishsoap –and you’ll never have to wonder what sort of residue might be left behind. In the bathroom and all through the house, replace hand soap with oil-infused foaming hand soap (buy it or make your own with your choice of essential oils). Then swap out your shampoo and conditioner, your body soap, and your kids’ products—or maybe you want to start there! Switch out your oral care products for the whole family. Kidscents Toothpaste is safe even for your toddler who forgets to spit! Some people will throw themselves into switching out everything all at once. Some of us (myself included) will take it one step at a time. Choose something different each month. It’s not a race to see who is fastest or best. It’s a choice to create a healthier home environment for ourselves, our children, and our pets. 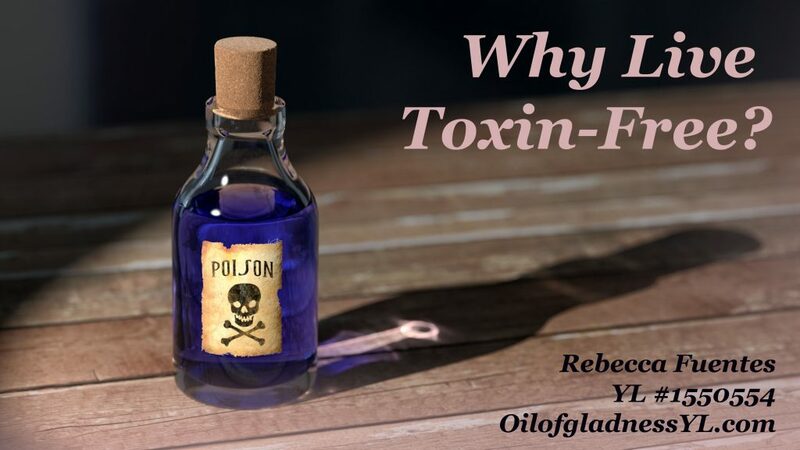 Every oil or oil-infused product you do use is a toxic chemical that you don’t use. If we wait for the government and big businesses to regulate the safety of chemicals in our homes, it will take years. It may never happen in some cases. We can change business practices by choosing where our money goes and what products we buy. The companies that provide our food and personal care and cleaning products will listen to the opening and closing of our pocketbooks. They will not make our lives toxin-free for us. We have to make the choices first, and they will follow, or they will lose.